How Fast Does A 50cc Dirt Bike Go? Top 6 Dirt Bike Brands Speed. 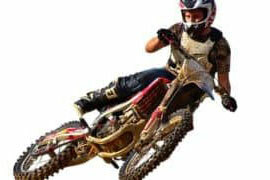 50cc dirt bikes are quite popular, especially among the newest dirt bike enthusiasts. And one of the reasons for this popularity is the presumed healthy balance of speed in these dirt bikes. But how fast does a 50cc dirt bike go when pitted against others? Well, most of the well-known 50cc dirt bikes average between 25 and 40 mph. One of the reasons for this relatively high speed, at least for young riders, is the proliferation of lighter and faster models that have a really powerful kick. Of course, the other logical explanation is that by now, engineers have perfected the art of building dirt bikes for kids and are doing a much better job than in older models. How Safe Is A 50cc Dirt Bike At This Speed? 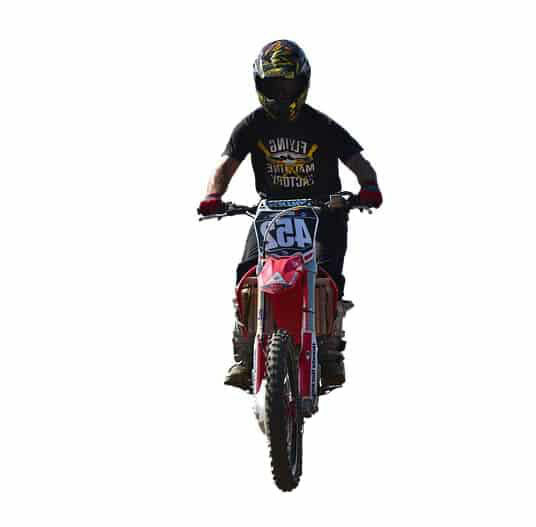 One of my biggest fears when I first bought a 50cc dirt bike for my 6-year-old son, a couple of years ago was that it would be dangerous of him to ride at the max 40mph. And I felt that I would never allow him to accelerate beyond what I felt was a reasonable average at that time: 10 mph. You likely know about those heart-wrenching crashes that you watch on TV when some adrenaline-charged bikers fall flat after attempting to pull some stunts. Well, those pictures were never far from my mind every time we went out. But my worries were later to prove to be unfounded as my young champion naturally hardly hit those speeds in his kids 50cc dirt bike. So in normal circumstances, the 50cc bike is perfectly safe- even without considering that these dirt bikes for kids come with some speed control mechanisms for the extremely concerned parent, as we will see next. How Can I Control The Speed in My 50cc Bike? A parent can cap the speed their kid will be doing the wheelies at using the throttle limiter incorporated in most of these dirt bikes. This helps until they are experienced and brave enough to ride it like their hero, the legendary Jeremy McGrath. Kill switches are another godsend for worried parents. As the name suggests, they kill the 50cc dirt bike engine if the kid is separated from his machine for some reason. This not only saves the motor but also protects him/her as well as fellow riders from injury. Kills switches succeed by grounding out the bike’s ignition to the frame ground or by interrupting the natural ignition supply voltage to ensure there will be no sparks. Another reason why you may never need to worry about how your kid will fair with a 50cc bike is the brakes. Most, including the DR-X Kid’s Dirt Bike have super-strong disk brakes (front and rear) allowing maximum control over the dirt bikes whenever needed. How Else Can I Take Charge Of My Kids safety With These Dirt Bikes? The responsibility for adequately training a child to ride lies squarely on the parents. Again, the upcoming rider should be supervised come rain or sunshine so long as they are riding an off-road machine. Also never allow your boy/girl to ride in places teeming with traffic (It’s illegal anyway in most states!). How Fast Does A Dirt Bike Go? Well, here is the thing: How fast is a dirt bike depends with the dirt bike’s power, bike fit (for your comfort), and other factors like the rider’s experience. Who Makes The Best 50cc Dirt Bikes? Almost all the major dirt bike manufacturers have a presence in the 50cc dirt bike size category. Started in the late 1800s, this Japanese giant has some of the best models in the 50 cc range. Their bikes are generally very resilient and packed full of safety controls for beginner riders. And since it has all the necessary control, this bike is sufficient to keep your dirt-crazy boy/girl at an acceptable speed at all times and good enough for stretching the boundaries when the time comes. Honda dirt bikes are also considered gems and they have excellent types for the beginner class. 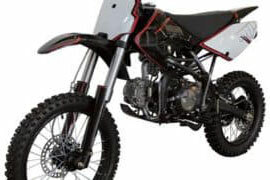 Led by the Honda CRF50 (This Honda 50cc Dirt Bike Top Speed goes to about 25 mph), Honda dirt bikes are known for their superior design, powerful performance, innovation, and legendary durability. I bought one bike from the Japanese multinational’s local dealer some years back and it’s still in tip-top shape. In addition to the excellent riding dynamics, Honda’s simple maintenance and readily available service parts maximize your kid’s time on the roads. And so it is likely that you will see your kid’s friend riding KTM’s 50 cc rated dirt bikes such as the KTM 50 SX (topping out at around 37 mph in perfect conditions). A classic KTM for the young riders aged between 4 to 10 years and with a height of approximately 1.30m, KTM bikes like the aforementioned 50 SX are produced with KTM’s renowned top-quality components. And for many riders, they are the ideal stepping stones into the dirt world hence their massive sales. With a range of safety-first features, Kawasaki’s 50 cc dirt bikes including the highly rated Kawasaki KDX50 bike are another attraction for parents here. The combination of little user-friendly features includes a built-in throttle limiter, easy automatic transmissions, and low seat heights. They thus provide an ideal learn-to-ride environment not to mention years of fun because of their tendency to grow with the kids. Yet another monster, Suzuki has also stamped its mark on the children dirt bike arena with a series of impressive bikes. My favorite is the Suzuki DRZ50 (maxes out at 33 mph with standard experience). Their bikes are well-tested and easily outlast generations of youngsters riding through the ranks of dirt biking. Like in all their four-stroke kid’s bikes, Suzuki prefers a hassle-free approach by adopting a simple yet efficient design in the 50 cc 4-stroke dirt bikes such as the DRZ50. Automatic clutches are the other common feature in Suzuki 50 cc models and is again very beneficial to learning riders because of the ease of application. Other reputable brands coming up in this space includes Flying Horse, DR-X, and Coolster. Again, how fast does a 50cc dirt bike go? Well, as I have mentioned, most of the well-known 50cc dirt bikes reach between 25 and 40 mph depending on the conditions and the rider. And we have seen that these bikes are great for that little rider in the house and why you shouldn’t have an iota of fear when he/she is riding out. Needless to say, there are a few 50cc dirt bike for adults but by and large, these dirt bikes are favor kids.